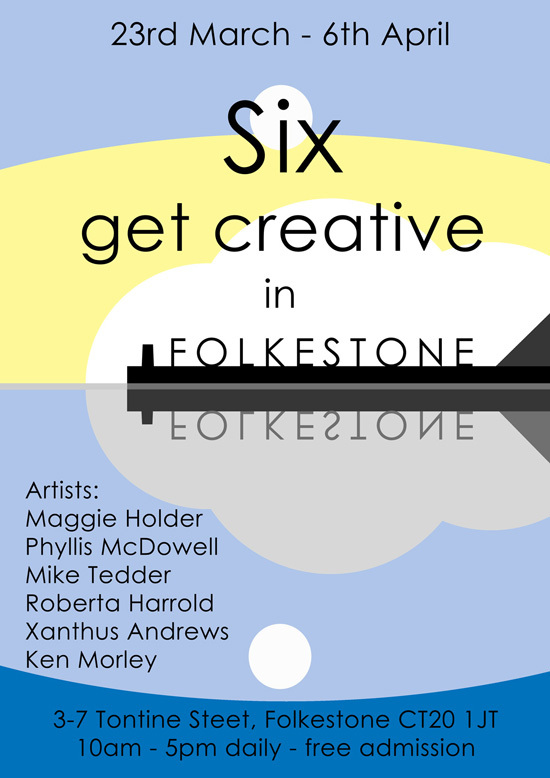 ‘Six get creative in Folkestone’ is a new art exhibition opening in Folkestone’s Creative Quarter, running from Saturday 23rd March until Saturday 6th April. Work on show will include fused and mosaic glass, geometric abstract paintings, sculpture, wooden models, photographs, watercolours, mixed media and collage. The six local artists exhibiting are:- Xanthus Andrews; Roberta Harrold; Maggie Holder; Phyllis McDowell; Ken Morley; and Mike Tedder. Roberta and Mike have recently held successful solo exhibitions in The Palm Court at The Grand. The venue, 3 – 7 Tontine Street, is situated in Folkestone’s historic and picturesque harbour area on the corner of the Old High Street. Entry is free to the gallery which will be open daily from 10am – 5pm. Just a few more days to get your forms in for “Renewal” the Guilds’ new open exhibition opening on 19th January. If you are a Kent artist or craft worker and want to show your work hanging fees are just £1 and only 20% commission on sales – last date to hand in your work is Saturday the 12th January. For everyone else – come along and visit us upstairs in the Charlton Centre in Dover – its going to be a great show! (Access via rear stairs or ramp – open 10am – 4pm Tues, Weds, Fri & Sats. Thanks to the efforts of Ken Morley the W.C.C.G at the Charlton Arts centre is now up and running with space for artists and craftsmen to show and sell their work. Ken, almost single handedly, built display stands and counters using materials he donated or recycled. On display are paintings, photographs, sculpture, ceramics, jewellery, textiles, greetings cards and custom built wooden toys at affordable prices. Ken is pictured working on a toy tractor that will be finished in time to fill someone’s Christmas stocking. He also has his wild life and car pictures on show. Apart from Ken you can also meet other artists and talk them about their work and spend time browsing through the vast selection of work on display. If you are looking for the ideal gift for those difficult friends and relations this is the ideal place to come. Starting on 19th January the W.C/C.G. will be holding an Open Exhibition to follow up on the success of those held this year. 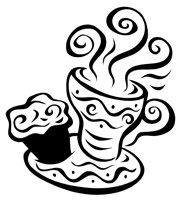 Artists from around the area are invited to enter their work at a fee of £1 per picture with 10% charged on any sales. Work can be taken into the Charlton Art centre from the 12th January and should be ready to hang with mirror plates fitted. A private viewing will be held in the exhibition area on the 19th January from 11.00 am. For further information and submission forms please ask at the centre. Other exhibitions and events will be held following this and we will bring you the news on these in the next newsletter. The centre needs you to help to steward the exhibitions, manage the shop area, help with publicity and share your knowledge and experience with other artists and the public. Without your support we cannot get the best out of this amazing space. Please get in touch to tell us how you can help. 10.00 a.m. to 5.00 p.m.
Come and see a wonderful display of artworks from more than 60 local artists, showcased in the new gallery.